Now in its 26th year, the Taste of the North End will return to DCR’s Steriti Memorial Rink on Friday, April 26. 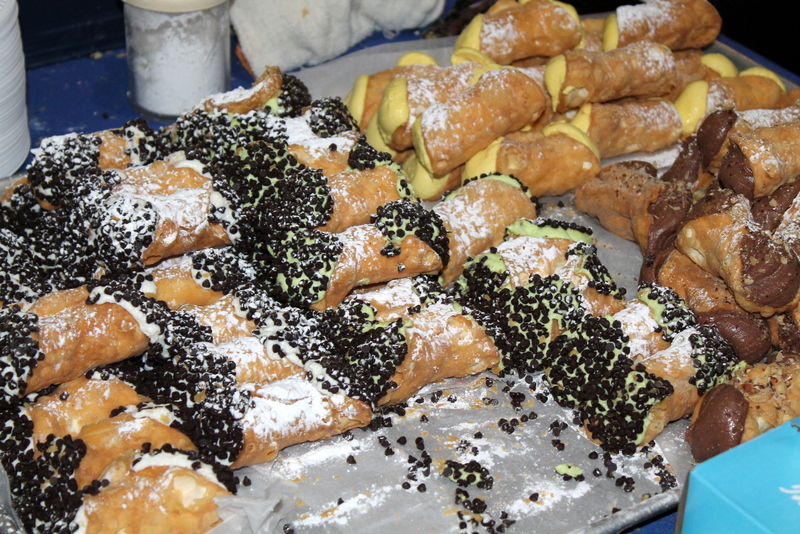 A food festival founded by the Frattaroli family in 1993 and emceed by radio personality and TV host Billy Costa, the annual event draws upwards of 1,000 attendees each year who share in celebrating the historic neighborhood’s rich culture while feasting on samples of world-famous Italian cuisine. More importantly, the event benefits the North End Waterfront Health Center’s critical medical and social service programs, as well as other local organizations such as: the Eliot School, St. John School, Harvard-Kent School, North End Against Drugs, North End Athletic Association, the North End Music & Performing Arts Center and more. The Taste of the North End was originally created as a benefit for Casa Monte Cassino. A family from Italy came into the Frattaroli’s North End restaurant one night for dinner; they was staying at the Casa Monte Cassino, a religious organization founded in 1987 as a refuge for the families of Italian children awaiting treatment at Boston’s medical centers. The family’s four daughters were receiving medical attention at Boston’s Children’s Hospital in Boston. Touched by their story and inspired by the mission of the Casa, the Frattarolis sprung into action. Together with their vibrant and thoughtful North End restaurant community, the inaugural Taste of the North End was born in the basement of St. John’s School where guests sampled dishes from fifteen North End eateries. The success of the event has been incredible since. What started in St. John’s moved to the local Coast Guard Base, the New England Aquarium, and finally to the DCR’s Steriti Rink on Commercial Street, where it will be held on April 26 with more than forty-five restaurants, bakeries and distributors. Stay in touch for updates and news on this years event! Sign up for our e-newsletters.